This summer West River Head Start is doing something exciting, creative, and innovative for the children. We are creating an outside classroom that infuses Science, Technology, Engineering, Art, and Math (STEAM). This classroom will not only increase learning outcomes for our children, but also make learning a fun and memorable experience. West River Head Start enrolls preschool aged children (3-5) that, more often than not, come from an at-risk background. These students do not always have the opportunity to get outside and enjoy nature, and we intend to change that by leaving no child inside! 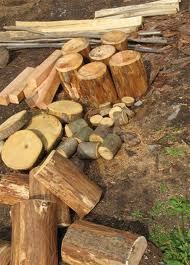 The classroom will consist of outside features that are abundant and free such as tree stumps and limbs to sit, jump and play on. However, we do need other outside artifacts that harder to come by. For example, live trees, bushes and flowers, landscaping timbers and rocks, outside worktables, materials to construct a music and art space, and potting soil. Straightway Construction of Bismarck has graciously donated $2,000.00 for the construction of the fencing that must encompass our space to keep it safe and secure. The Boy Scouts are always prepared and, lucky for us; a local Eagle Scout has volunteered to create a water feature and several garden boxes for his Eagle Scout Project. These features will be utilized in both education on science, biology, and agriculture. Ken Paulus, welding instructor at Bismarck State College, has agreed to have his welding students create metal animal sculptures for the classroom – our students are thrilled! The North Dakota Council on the Arts is providing grant funding for sculpture in the outdoor classroom – all the while creating enjoyment and learning experiences for the children! We are working closely with the NDCA on several fronts including potential grants for arts – infused lessons. 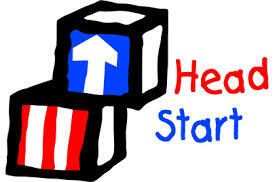 WestRiver Head Start is a program of HIT Inc., a 501(c)(3) non-profit organization. All cash donations are tax deductible and your donation will go directly to the outdoor classroom; this includes supplies, and/or materials to create the space. Can you help us with a donation of time, talent or money? The outdoor classroom will be an innovative, energetic, hands-on laboratory where students will learn about both the arts and sciences. West River Head Start knows the importance of fostering the love of learning early; this classroom will provide a strong foundation for children’s learning that they will carry with them throughout their academic lives. The children and staff of West River Head Start thank you in advance for your consideration and time. Nearly 80,000 children eat lunch at school in North Dakota during the school year; about one-half of those lunches are served to children from families with low incomes. 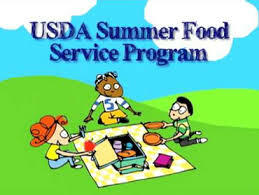 To help fill the gap, the search is on for organizations to sponsor Summer Food Service Programs (SFSP’s) in the state. Child Nutrition and Food Distribution Programs in the North Dakota Department of Public Instruction administers this federal child nutrition program of the USDA. The program provides reimbursement for meals served in low-income areas of a town or to those organizations that serve a high number of children from low-income families. Sponsoring agencies can be school (public or private), government agencies, private nonprofit organizations, or others. 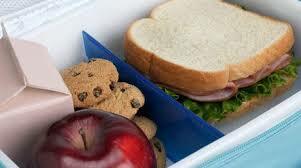 If you think you know of an organization who could sponsor, prepare and serve lunches, breakfasts and/or snacks to kids, look for more information at USDA's Summer Food Service Program or ND Department of Public Instruction's Child Nutrition and Food Distribution or contact Kaye at Child Nutrition Food Distribution Programs, 701- 328-2275.